Blue Heaven Face Powder comes with a Specially designed formula that helps in shine control, smooth to apply with applicator and stays for long on your face. Explore the entire range of Compact available on Nykaa. 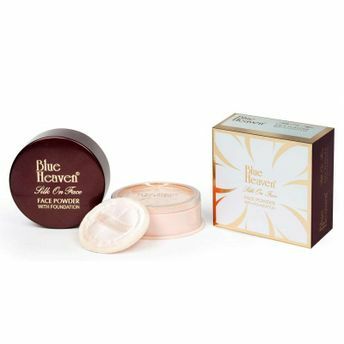 Shop more Blue Heaven products here.You can browse through the complete world of Blue Heaven Compact .Alternatively, you can also find many more products from the Blue Heaven Silk On Face Face Powder With Foundation range.